Beautifi Solar is based in Salt Lake City, Utah, and operates throughout Utah, Colorado, Idaho, Arizona, Wyoming, Texas, Hawaii, and Africa. We also contribute regularly to sustainable energy projects in East Africa, giving the people of Uganda and Rwanda the tools needed for self-sufficiency. When you work with our Utah solar company you know you’re also helping the world become a better place. With our low overhead and use of qualified, efficient installers, Beautifi Solar based out of Salt Lake City, Utah offers the best combination of quality equipment at an affordable price. We are proud to offer our customers accurate sizing, aesthetic designs, made-in-North-America Panels, and high-quality installations. We offer reliable solar power to benefit your household for decades to come. See if you can save money by switching to solar! We also offer energy audits. Find out how much money you’re losing and how to get it back! Let's beautify your home NOW! “Honest and upfront and true to his word when he said, ‘If I can’t see that solar will benefit you, I won’t sell it to you.’ He offered competitive pricing and really helped me understand the solar technology and the long term benefits. Very knowledgeable with the changing landscape with RMP’s net metering process and navigated all the applications and approvals needed for me. Solar panels are a mature technology. Modern solar cells still work basically the same as those patented by Russell Ohl of Bell Laboratories in 1941. Call today to schedule a free solar consultation! Confused about Solar Panel Technology? If you are unsure if solar is best for your property or if this is the right to buy solar for your home, or if you want to find out how to get the best value, we invite you to learn more by clicking below. Solar panels CAN be beautiful. We hide conduit in attics, use all=black solar panels, and use symmetric arrays to beautify your home. Solar power is a mature technology that benefits both the environment and your pocketbook. Receive tax credits from the Federal and State governments. Currently, the federal tax credit covers 30% of all costs associated with solar panel installation. Additionally, the State of Utah offers up to $2,000 in tax credits for your solar panels. Act now before these tax credits expire. Solar panels are affordable. We get you the best financing terms possible for your solution. Financing terms range from 7 to 20 years, with rates as low as 2.99%. Most of our customers pay less for their solar panels than what they were paying to the power company. We work hard to ensure that our solar solutions not only perform well, but also are aesthetically pleasing. Our solar panels are a wonderful way to invest in and add value to your home. That's right, most customers pay less on day 1 than they would with the power company, and it just gets better as time goes on. Power costs go up by an average of 4% each year, meaning by the time your loan is paid off, you've been saving more than twice your payments each month. We are passionate about using solar technology to benefit both our customers and those who live in countries without easy access to electricity. Beautifi Solar donates to non-profit organizations that give generously to impoverished communities in East Africa. By purchasing solar from us, you are helping to create long-term prosperity for villagers in Uganda and Rwanda. 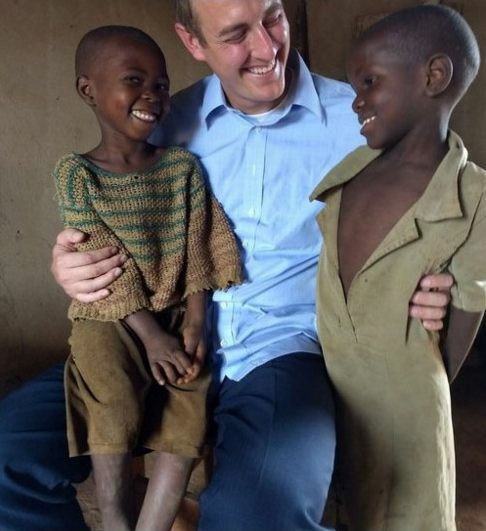 Dr. Isaac Hunsaker began working with Africa Development Promise before he started Beautifi Solar. He’s pioneered the use solar technology in NGO-supported cooperatives t0 help villagers in East Africa change their lives for the better. 8-year-old Maiko holds his younger brother in Bugesera, Rwanda. According to the World Bank, 70% of Rwandans have no access to electricity.